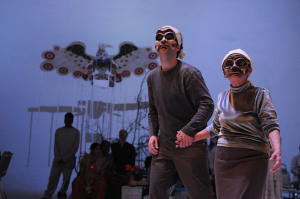 Jumblies grew out of the work of Ruth Howard and colleagues, with inspiration from varied forms of visually-based and socially-engaged performance, especially the British “Community Play”, a form that combines theatre on an epic scale with a philosophy of wholehearted social inclusion and an astonishing capacity for social change. This form sprung from the work in England of Ann Jellicoe, Jon Oram and the Colway Theatre Trust (now Claque Theatre), and was introduced to Canada by Dale Hamilton of Rockwood, Ontario, with the ground-breaking production of “The Spirit of Shivaree” in 1991. 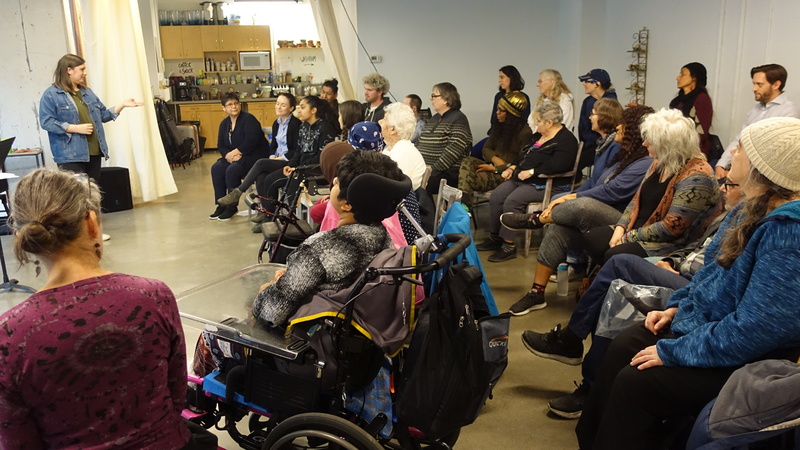 Ruth Howard had the good fortune to be the costume designer on this production, which united her interests in art, community-building and activism as never before. 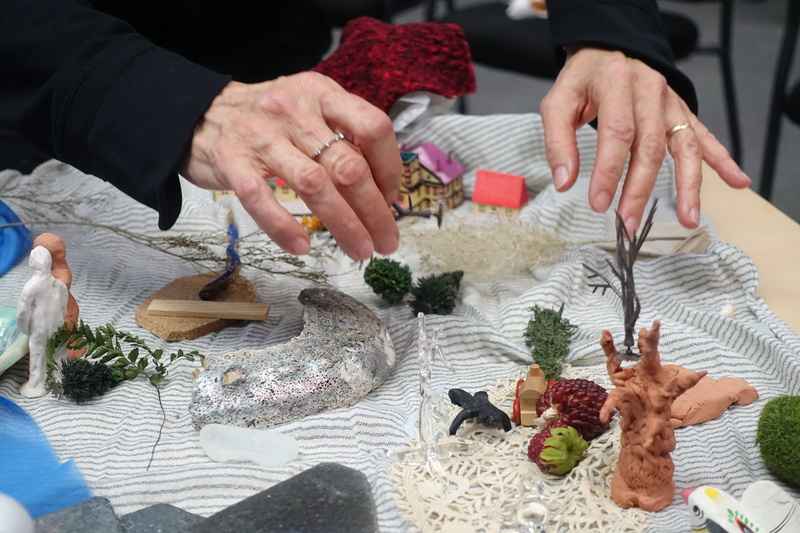 Ruth went on to design several community plays across Canada and in the U.K., and started to produce her own arts projects that both drew from and adapted the community play model. In 2000, Ruth initiated South Riverdale Lives and Legends, and produced Twisted Metal and Mermaid’s Tears, a spectacular, multi-lingual production that engaged several hundred local participants. Following this, in 2001, she founded Jumblies Theatre. 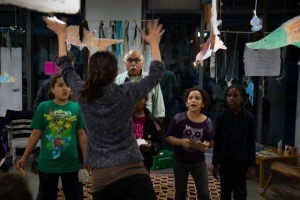 Since then, Jumblies has undertaken residencies at Lawrence Heights, performing an adapted Caribbean folk tale (I’m Tapingi Too!) and bringing together seniors, youth and Hispanic women; at Davenport Perth Neighbourhood Centre, with Arts for All, producing the highly-acclaimed Once A Shoreline in 2004; and in Central Etobicoke, with Bridge of One Hair, a project engaging Somali, Caribbean and other Toronto Community Housing and area residents, with a culminating production presented at Harbourfront Centre’s 2007 New World Stage Festival; with Camp Naivelt (a summer community of Toronto’s Jewish Left), producing Oy Di Velt Vet Vern Yinger (remounted at Toronto’s 2009 Mayworks Festival); and in East Scarborough, in partnership with the City of Toronto’s Arts and Cultural Services, with the culminating production of Like An Old Tale, a retelling of Shakespeare’s The Winter’s Tale. As a res ult of Jumblies’ Legacy and Sustainability work, our former residency projects – or offshoots – Arts4All (launched 2001), MABELLEarts (launched 2005) and the Community Arts Guild (launched 2008), as well as our adopted offshoot Making Room in Parkdale are all independent locally-based organizations with their own distinctive leaders, initiatives and events. Jumbiles and Ruth Howard have won several awards for our work, including two Great Grants award from the Ontario Trillium Foundation (one for Bridge of One Hair, and one for our learning and mentorship program, the Jumblies Studio); a Dora Mavor Moore nomination for costume design of Bridge of One Hair; a Toronto Vital People Award, the Canadian Urban Institute’s City Soul Leadership Award; and TAPA’s George Luscombe Award for mentorship. Jumblies is increasingly cited as a pioneering and inspirational example of art that embraces and intertwines aesthetics and social engagement. Mentorship and professional development have always been integral to Jumblies’ work, and in 2006, in partnership with Davenport Perth Neighbourhood Centre, Jumblies launched the Jumblies Studio, with developmental funding from the Metcalf Foundation, the Ontario Trillium Foundation, Toronto Community Foundation and the Toronto Funding Network. The Jumblies Studio is now an established, integrated and award-winning strand of our company, delivering courses, workshops, seminars, internships, mentorship, consultancy, multi-media resources and collaborative projects, in Toronto, Ontario and across Canada. 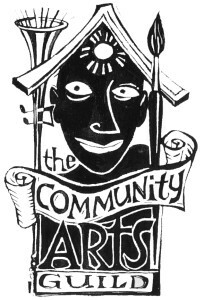 For more information on the history of Canadian Community Plays click here.